This may be a little too late, but I thought it might be a nice resource for those in the USA who previously had access to certain flavors (thanks to vendors who respected their customers and provided what was desired before FANA and the dolts who make decisions there decided for everyone what we could use) but are no longer able to, and may be wondering why, or how to go about continuing the supply (for “extreme needs” cases; recipes that are dramatically, and negatively affected by a substitution). Bear in mind, some, or all of these flavors are still available by ordering direct from FA Italy, or overseas, but at a substantial increase in shipping costs. Please limit suggestions for addition to the list to confirmed flavors only! (Discussion of potential candidates is, of course, welcome!) If anyone has seen a confirmed list published already, please share it! As my searches have come up with virtually no results. 50% off diacetyl laden FA Custard Premium and Whipped Cream AND BUTTER AND OTHERS. Get grabbing @VapeyMama ETA - thanks to @kanamit for the find! Just before I placed an order with DIY Vapor Supply (at 2:28 AM today), I checked and saw FA Custard Premium flavor was still available. 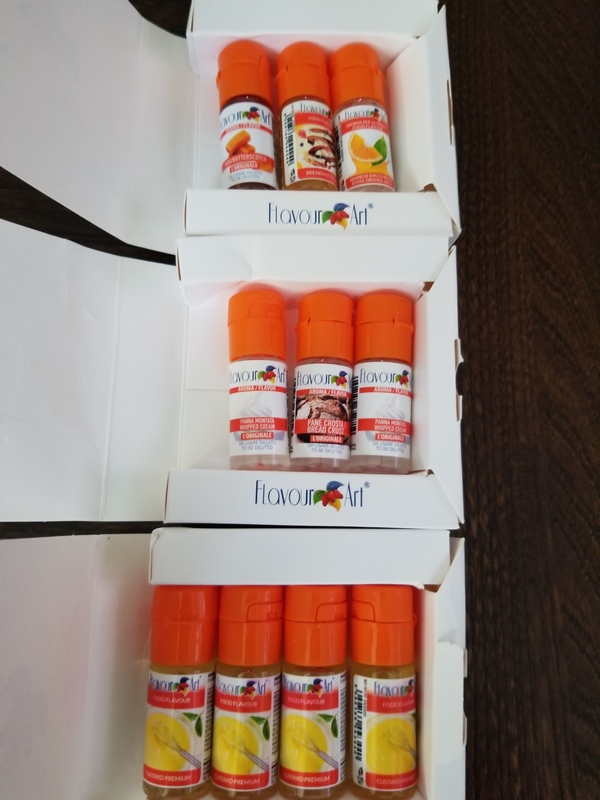 I’ve heard that FANA has stopped distributing any flavors containing Diacetyl to U.S. vendors. The Custard Premium certainly does have some. We actually stopped carrying it We apologize for the inconvenience this may have caused you. And continued another couple of posts. I dug a bit further just recently, and it seems that a limited awareness of this started sometime back in Nov 2017. Unfortunately for some of us however, the news didn’t gain much widespread dissemination. If you can help fill in the blanks (as to what flavors have been affected), I’d appreciate it! @Sprkslfly Thanks for the reminder. Looks like they’re OUT of Butter as of this writing, but I did snag a few custards and whipped creams. Pandoro might be another one that is no longer available? Will have to check around and confirm though. We will report back. Can we start a petition of sorts to present to FA NA? I’m sure the vendors would support it. Crap on a cracker! I just saw this now and I just placed an order for Butter. If I knew the Whipped Cream was an endangered species I would have added that to my order, too. I did see it yesterday. The shipping cost for the Butter (30ml) was about the same as the product! How much more would it be from Italy? And is DIYVS thee only US source now? And is DIYVS thee only US source now? Yes but only till they run out of supplies. They most likely won’t be allowed to restock. The reason you can’t get FA premium custard anymore, anywhere in the US as of right now. I would also predict, and this is just my assumption, but having lived and studied in Europe, that soon either the European laws or/and the US laws will restrict or plain out deny import of these flavors, when placing international orders. I hate too say get it while supplies or laws last, but that’s probably your only options as of right now, and maybe going too change pretty soon. Not sure what shipping from Italy costs or if there’s a duty fee, I do know tho, shipping from the Netherlands to the US is around $35 plus $18-25 import/duty fee. But that’s for regular non vaping merchandise, not sure if it applies here. I hope that’s not the case with Europe in the future @eStorm. Lo’d that’d be terrible. Right now @muth - If you order from FA Italy direct you got 3 shipping options (2 are cheaper), but the only shipping option recommended to me from someone who orders from them, is their 1st choice. DHL EXPRESS WORLDWIDE (Final price do not include eventually applied customs/duty fees.) - 21,00 € = approx. $30 US. Chef’s I hear should be getting some of the flavours in, but I don’t know when. I did however find a secondary source FlavourArt.UK. Shipping flat rate to the USA isn’t cheap, but better than ordering from FA Italy direct. Around $16.00; includes tracking and signature confirmation on delivery. My order came in a few days ago. Arrived in one week from the time I place my order. I agree I would hope its not the case but it also wouldn’t surprise me. Well see what’s going too happen. Hopefully some people get the chance to stock up tho. What’s the use? Stock up now only to know it’s the last. I may as well get used to having none of it now. I’m depressed. @estorm, that’s that I did. From Italy shipping wasn’t that bad, and came pretty fast. Nice @SessionDrummer! Which shipping did you choose when your ordered from FA Italy? Also did you have to pay any customs or duty fees? @muth what specificity do you require ?? Going to guess. I saw Wayne’s video discussing the “issues” with FA North America discontinuing/dissallowing sales of certain flavors in the US with dik’s. I knew there were some vendors who still had some in stock in the US, but knew they were going to run out. As mentioned above, there is the very real possibility that in the near future you may NOT be able to purchase these flavors and have shipped to the US. I decided to just buy some direct from FA in Italy, just to make sure to have some. I may pick up a 30ml bottle or two of FA Butter from a US vendor, just to have some stash. The two dik flavors I knew I needed to get a few of were the Whipped Cream, and Custard Premium. That help ? Yes, sorry if I sound panicked. I was just getting into my groove with mixing and I wanted the Cream Whipped and Butter, I got 30mls Butter pondside and now wished I ordered 120mls. This bites especially for us newbs who might never get to experience some of the old classics. Well, at least NOW, you have fair warning. If you like, or want to try a few, go ahead and place your order now. If you KNOW you like them, buy a few more. Never hurts to be prepared.